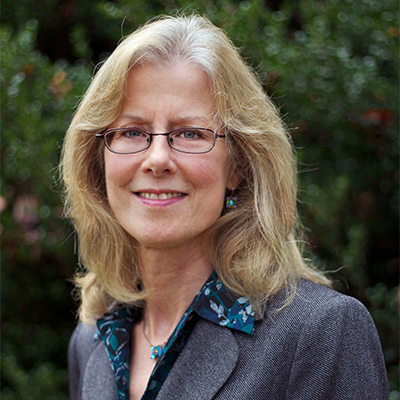 In the newest episode in our series of podcasts on urban resilience, Infinite Earth Radio host Mike Hancox interviews nationally known environmental leader (and Urban Resilience Project contributor) Rebecca Wodder. In the interview, Wodder talks community resilience and why she remains hopeful despite federal efforts to dismantle clean water regulations. In his February address to Congress, President Donald Trump promised clean water for all Americans. Why, then, is his administration intent on dismantling protections that cover a third of the nation's drinking water? A Changing Climate Means A Changing Society. The Island Press Urban Resilience Project, Supported By The Kresge Foundation And The JPB Foundation, Is Committed To A Greener, Fairer Future.​ This Post Was Originally Published March 14, 2017 in The Progressive. Trump has directed the Environmental Protection Agency and the U.S. Army Corps of Engineers to rescind or revise the Clean Water Rule. Doing so would eliminate protections for small streams and millions of acres of wetlands. Drafted by the Army Corps and EPA during the Obama administration, the Clean Water Rule clarifies which bodies of water are protected from pollution. The rule was developed through a yearslong process that included hundreds of public meetings and input from more than a million citizens. Let's take a moment to remember why such regulations are necessary. A half-century ago, America's waters were in serious trouble. In the early 1970s, two-thirds of the nation's lakes, rivers and coastal waters had been declared unsafe for fishing or swimming. Untreated sewage and industrial wastes were dumped into rivers and bays; fish kills were common; and - in at least one memorable instance - an oil-fouled river actually caught fire. In response, President Richard Nixon signed the Clean Water Act in 1972, with strong bipartisan support. The act regulates what can be dumped into the nation's rivers, lakes and coastal waters, and sets standards for water quality. It has kept billions of pounds of pollution from the nation's waters and greatly increased the number of waterways that are safe for swimming and fishing. To build resilience to twenty-first century challenges, a transformational water ethic must not only respect the water rights of nature, but also the water rights of people, especially the most vulnerable among us.